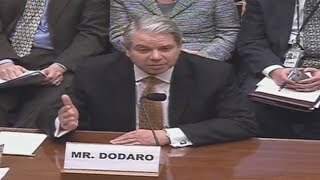 In his December 3, 2014 testimony to the House Oversight and Government Reform Committee, Comptroller General Gene Dodaro testifies on federal data transparency and the DATA Act. GAO's prior work on federal data transparency has found persistent challenges related to the quality and completeness of the spending data agencies report to USAspending.gov. For example, GAO reported in June 2014 that roughly $619 billion in assistance awards were not properly reported. In addition, few reported awards—between 2 and 7 percent—contained information that was fully consistent with agency records for all 21 data elements GAO examined. GAO's work also found that a lack of government-wide data standards limits the ability to measure the cost and magnitude of federal investments and hampers efforts to share data across agencies to improve decision-making and oversight. The Digital Accountability and Transparency Act of 2014 (DATA Act) was enacted to help address these challenges. Among other things, the DATA Act requires (1) the establishment of governmentwide data standards by May 2015, (2) disclosure of direct federal spending with certain exceptions, (3) agencies to comply with the new data standards, and (4) Inspectors General audits of the quality of the data made available to the public. Initial implementation efforts are focused on obtaining public input, developing data standards and establishing plans to monitor agency compliance with DATA Act provisions. These efforts include, for example, a data transparency town hall meeting co-hosted by the U.S. Department of the Treasury (Treasury) and the Office of Management and Budget (OMB) to obtain public stakeholder input on the development of data standards, and Treasury Inspector General's efforts, in consultation with GAO, to develop a comprehensive audit framework to assess agency compliance and ensure new standardized data elements are effective once implemented. Effective implementation will need to address key technical issues including developing and defining common data elements across multiple reporting areas and enhancing data transparency while protecting individual privacy and national security. Effective implementation would help promote transparency to the public and address ongoing government management challenges by expanding the quality and availability of federal spending data. Having better data also will make it possible to gauge the magnitude of the federal investment, help agencies make fully informed decisions about how federal resources should be allocated, and provide agencies and the audit community with additional data analytic tools to detect and prevent improper payments and fraudulent spending. GAO also reports on its annual audit of the consolidated financial statements of the U.S. government. Almost all of the 24 Chief Financial Officers Act agencies received unmodified (“clean”) opinions on their respective entities' fiscal year 2013 financial statements. However, three long-standing major impediments, including serious financial management problems at the U.S. Department of Defense (DOD), prevented GAO from expressing an opinion on the U.S. government's 2013 accrual-based consolidated financial statements. In addition, while progress has been made to reduce the deficit in the near term, comprehensive long-term fiscal projections, consistent with GAO's recent simulations, show that absent policy changes, the federal government continues to face an unsustainable long-term fiscal path. The federal government spends $3.5 trillion annually, but data on this spending are often incomplete or have quality limitations. Effective implementation of the DATA Act would help address the federal government's persistent management and oversight challenges by providing for standardized, high-quality data. The DATA Act also will increase the accessibility of data to benefit the public and the business community by requiring, among other things, that data be made available in machine-readable and open formats. This statement focuses on (1) the condition of information detailing federal spending as reported in our June 2014 report; (2) efforts to date to implement and plan for meeting key provisions of the DATA Act, including potential implementation challenges as well as GAO's plan; (3) the importance of the DATA Act for addressing government management and oversight challenges; and (4) results of GAO's audit of the fiscal year 2013 U.S. government's financial statements, including efforts to improve financial management at DOD. This statement is primarily based upon our published and on-going work covering GAO's work on federal data transparency, fragmentation, overlap and duplication, improper payments, and government efficiency, effectiveness, and financial reporting. GAO has made numerous recommendations to OMB, Treasury, and other executive branch agencies in these areas, and this statement reports on the status of selected recommendations. For more information, contact J. Christopher Mihm, (202) 512-6806 or mihmj@gao.gov and Gary T. Engel, (202) 512-3406, engelg@gao.gov.